TELUS International Philippines Corporate Events Manager Maria Carmela Esquivias’ 15 years at the company is a testament to this. After a significant amount of time leading call center operations, Esquivias successfully moved further along her career path after challenging herself and following what she believes to be her calling – the diverse and colorful world of events management. Joined by TELUS International Philippines’ Vice President for Brand, Marketing and Culture Warren Tait (second from right), Elai with her Corporate Events team showed support for the Lesbian, Gay, Bisexual, Transgender, Queer, and Allies (LGBTQA) community during the company’s participation in the 2017 Pride March in Marikina City. Esquivias has helped realize one event after another without a day feeling like work. Her time on the Corporate Culture team has exposed her to various company events like the annual CSR volunteer activity TELUS Days of Giving (TDOG), the annual company sports fest TELUS Healthy Living Cup, site-wide theme days, special interest group activities, and CSR events. The TELUS International Philippines’ Corporate Events team helps inject some fun and camaraderie with team member volunteers during the company’s annual CSR activity, TELUS Days of Giving, at Rosauro Almario Elementary School in Tondo, Manila last May 13, 2017. Elai states that her achievements, such as the recently received 15-Year Service Milestone Award, is not just measured by the success of the projects she handles but by the camaraderie and teamwork that her team, together with the whole TELUS International Philippines community, fosters. “Without the utmost support of the whole team, the significance of those events would not be this meaningful. This is the main reason why I keep doing what I do and pushing myself and the team to put our best foot forward,” Esquivias concludes. Elai and other operations team leaders together with their Operations Manager at TELUS House Araneta in Cubao circa 2009. 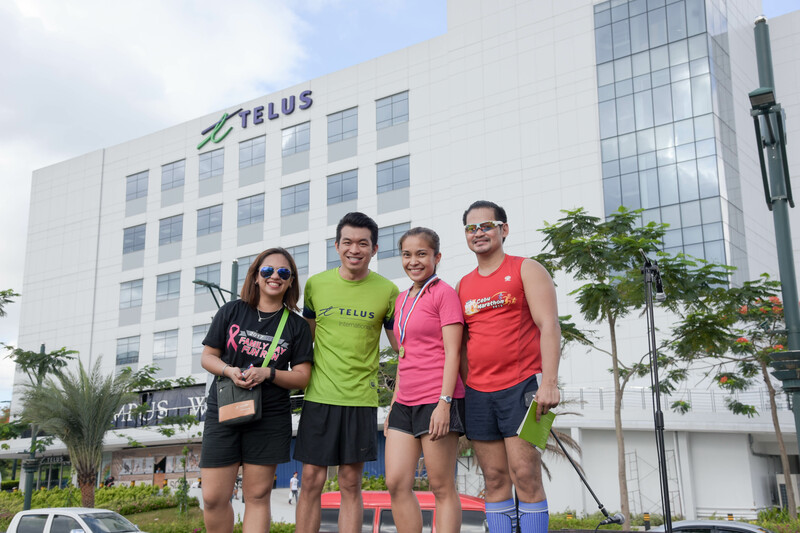 To better support the growth of team members and aspiring leaders like Elai, TELUS International Philippines created a Coaching for Excellence program designed to ensure everyone receives proper mentoring and leadership support. The coaching program also helps the company better understand the true calling of each of its team members – an excellent opportunity for job-seekers, be it fresh graduates and job-shifters alike – to channel their diverse passions in the right place. There’s also the Learning@TELUS International Roadmap, a series of learning programs and certifications directed towards developing team members’ leadership skills and nurturing homegrown talent.